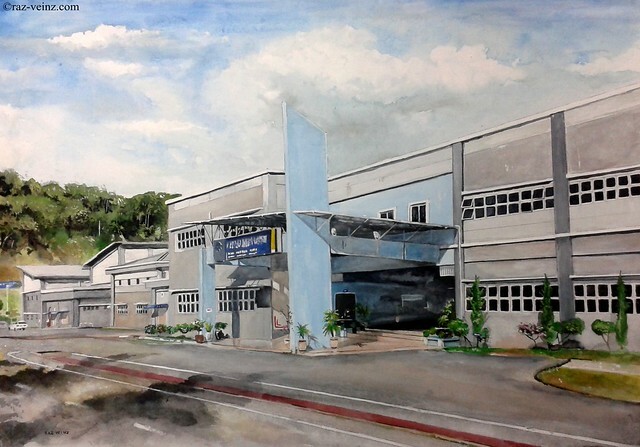 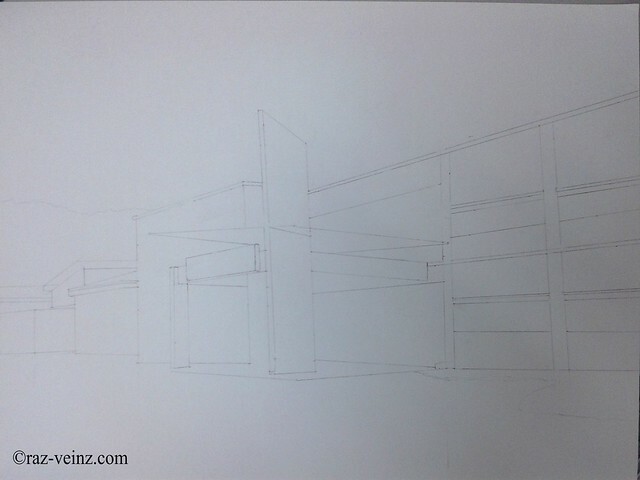 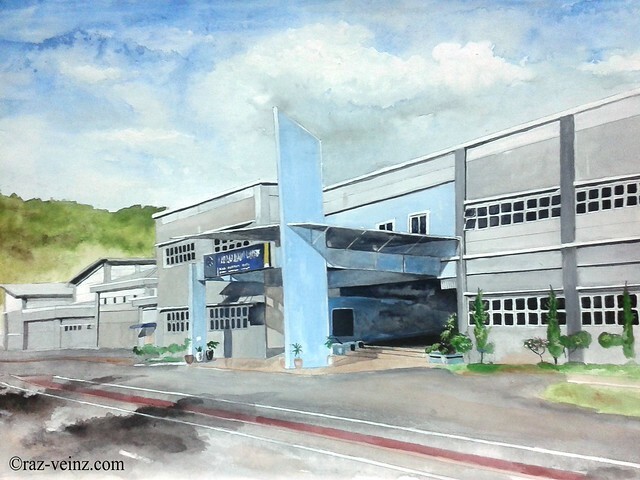 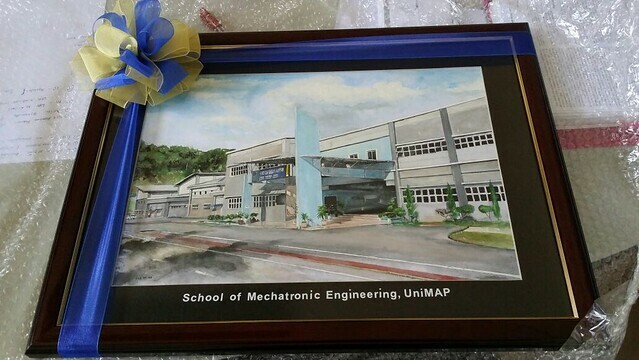 Firstly, I would like to thanks to the School of Mechatronic Engineering, UniMAP for this commission, they request to do their building in watercolor, this is the time for me to study the perspective elements. 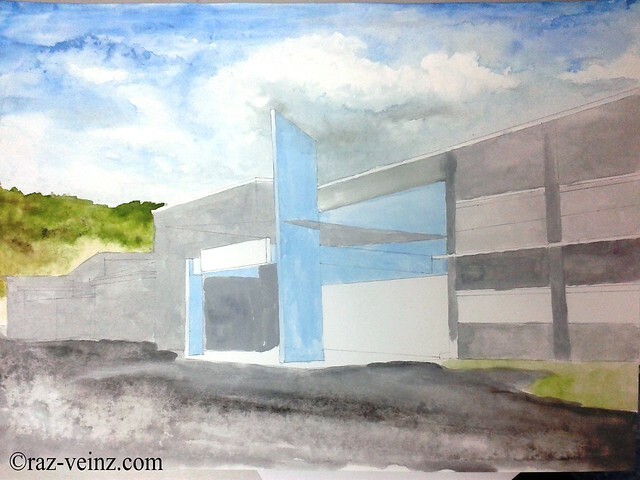 The shadows : Some people does’t recommend use the plain black, some does, some do the mixing color to meet their style or the color composition, I? 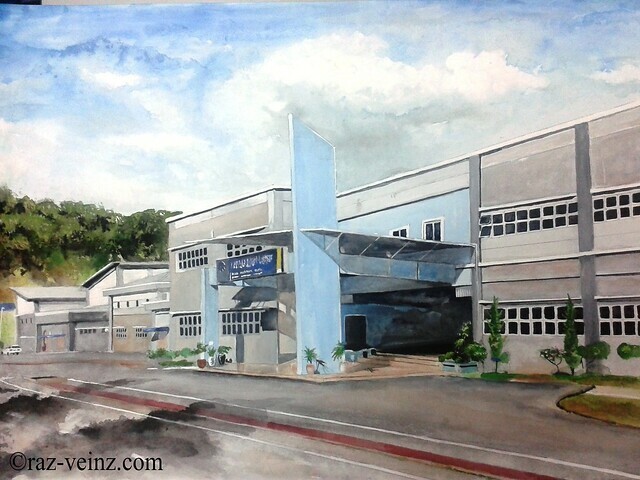 I do I what want, I love the freedom of painting, paint from the inner heart, I think this is what all the painter should do…with the guidelines of course.. 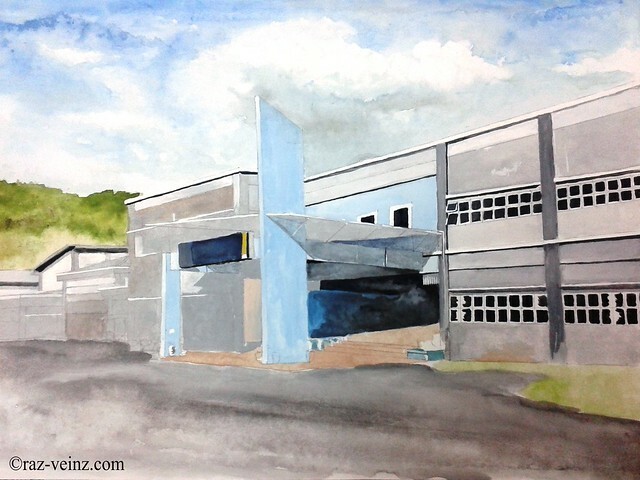 Begin to establish between dark and light, develop more color, added deeper value for building to make the sky slightly appear.